If you want to have an efficient farm, you need wide range of equipment. The first and most important are of course tractors. 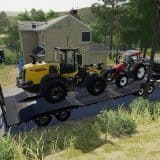 If you feel a lack of some options, Farming simulator 2019 Tractors mods can solve the issue. With these files, you get the access to the huge variety of unseen vehicles, which can help you be more productive and successful in the same way. 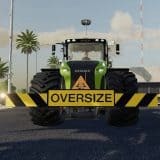 Farming simulator 19 Tractor mods will make you unstoppable. Let’s wonder, how you could improve your strategy and optimize the work. If you already know what you need, choose the best tractors mod Farming simulator 2019 to meet your requirements. It’s only matter of time when you are going to overrun all other farmers and leave them behind. Why not to try something new and see which kind of benefits it can provide? This is how winners act – you need to be one step ahead. But first of all, take a look at our vast database of FS19 tractor mods free samples. All the most modern tractors are here – you can’t be able to refuse to try them. To do that, you only need to complete LS 19 tractors mods download and follow the instructions. Easy-peasy and your farm will be the most innovative one around. FS19 Mods. Show everyone who is the most advanced player and increase your successfulness. Everything is up to you – as there is no risk, there is nothing to lose but a lot to get. Take a step to a new world of FS19 and explore new fields!